Bean Bags R Us NewsBean Bag FillingHow is Beanbag Filling Made? How is Beanbag Filling Made? Beanbag chairs offer people a uniquely comfortable place to relax due to the unique material that manufacturers use to fill them. Most beanbag producers fill the furniture item with a product called Expanded Polystyrene, or EPS, resin. Often, people mistake the bean bag filling for Styrofoam beads due to the texture similarities and colouring. EPS beads are cost-effective, and the product features a unique composition. 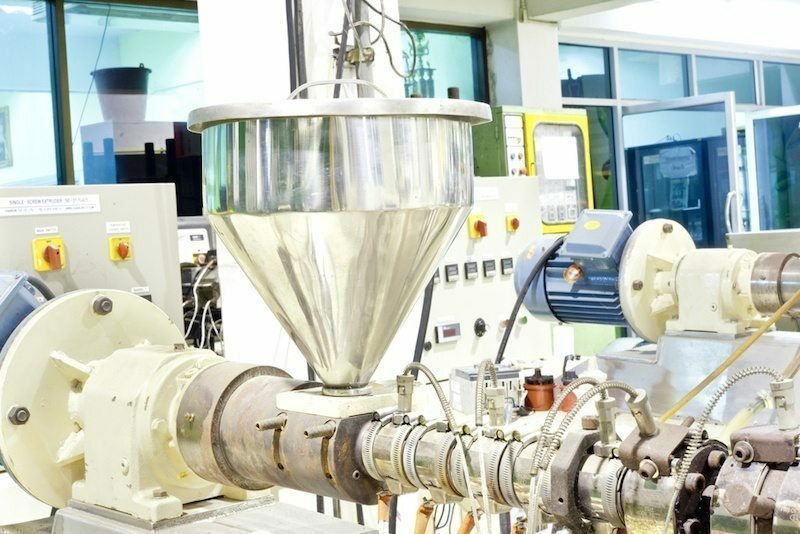 Specifically, EPS bead manufacturers develop them with a small amount of the naturally occurring gas pentane, infusing it through each bead’s frame. Manufacturing companies use state-of-the-art technology and sophisticated equipment to expand the beads. To form the puffed beads, developers apply steam and use an agitator. Also, the system completes the process inside an enclosed container. The pentane gas in each tiny bead expands from the heat application. The heat causes each bead to expand by 30 to 35 times their original size, which measures from 0.5mm to 1.33mm in diameter. If a manufacturer makes a mistake and overheats the beads, then they become little hard pellets that are unusable. Developers use a computer operated weighing system during the bead development process. The system measures the proper amount of beads into the container to ensure equal heat distribution. Also, the computer measuring system features a level indicator. The system needs the indicator to determine when the required amount of bead volume has been achieved. Once the bead expansion process is complete, the composition of the beads changes as the finished products is predominantly composed of air with a firm structure to hold the substance in place. The entire process takes about 200 seconds to complete, and once the expanded beads are dry, the equipment blows them into large storage bags to age. Since the heating process places the beads under a forceful physical transformation, they are left with an inner vacuum from the millions of cells that are formed. The manufacturer must equalise the beads to the atmospheric pressure to prevent them from collapsing or imploding. During the aging process, the EPS beads inflate with air, which equalises the beads. The aging timeframe varies based on the manufacturer’s needed density level for each batch of beads. Beanbag beads are made from new or recycled plastic. Therefore, some beads are friendlier to the environment than others. The recycled plastic used to make the beads frequently comes from recycled soda and water bottles. When researchers compared the beads made from the two types of plastic, they found that the versions lasted about the same length of time and provided customers with approximately the same level of comfort. Beads made from new plastic performed slightly better, but researchers determined that the enhanced performance was based on the bead supply’s quality as well as the bundle’s density level. In most cases, smaller beanbag beads have a higher density level, which provides better overall performance. Also, beanbag developers can add smaller sized beads into the furniture item. With extra beads in the bag, a chair’s user will experience a heightened massaging effect. If EPS beads are needed for a large area, then the manufacturer can blow them into a trailer for transport. In the beanbag industry, the beads are sometimes blown directly into the chair shell. The manufacturer will then seal the shell. However, more commonly, they are blown into heavy duty PVC bags for reselling. Most bean bag filling is sold in 100 litre or 200-litre bags. Department stores have recently started to sell convenient 25-litre bags for easy topping up of your bean bag furniture. One hundred litres of filling weighs approximately 600 grams; however, because of its mass, it is costly to freight. That is why most bean bag resellers sell the covers only. 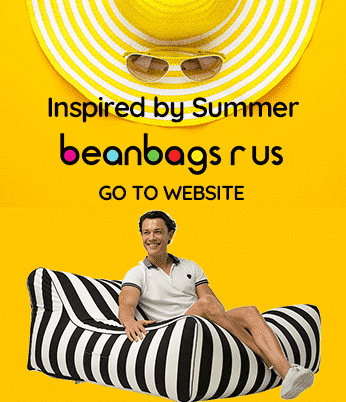 Today’s bean bag chair manufacturers make these furniture items in a variety of styles. Consumers may consider buying one that features high-density foam combined with EPS polystyrene beads. Beanbag Chairs that feature both products give customers a piece of furniture that provides structure and comfort. 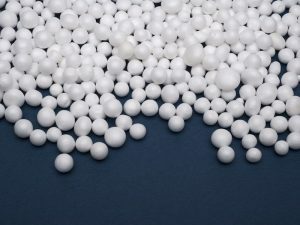 EPS polystyrene beads are an ideal bean bag filling material. The substance is lightweight, which allows beanbag manufacturers to form large comfortable chairs that people can easily move from room to room. The beanbag filling forms to the user’s body and gives people a uniquely comfortable place to relax.